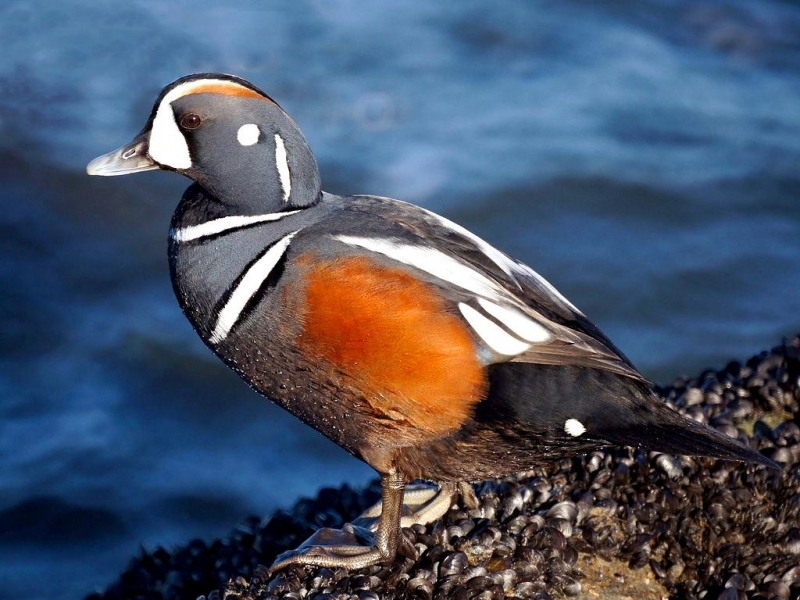 The Harlequin Duck is a small sea duck. 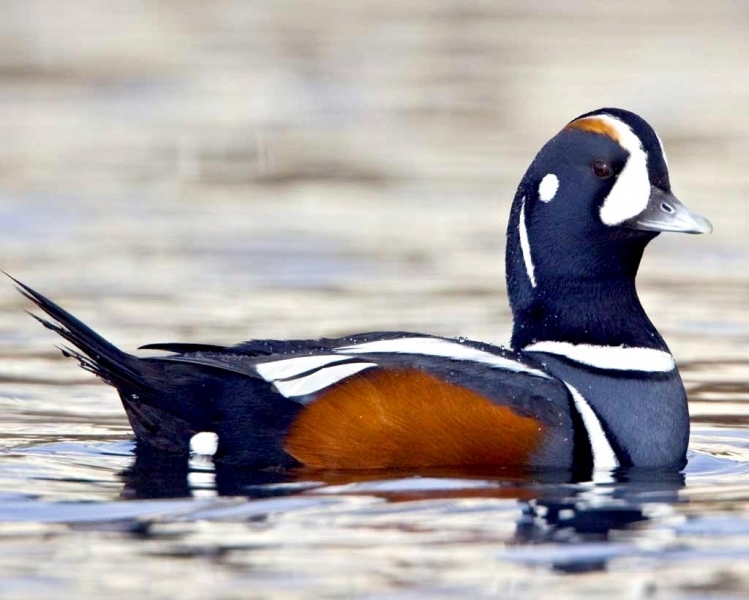 In North America, it is also known as the Painted Duck, Totem Pole Duck, Rock Duck, Glacier Duck, Mountain Duck, White-eyed Diver, Squeaker and Blue Streak. 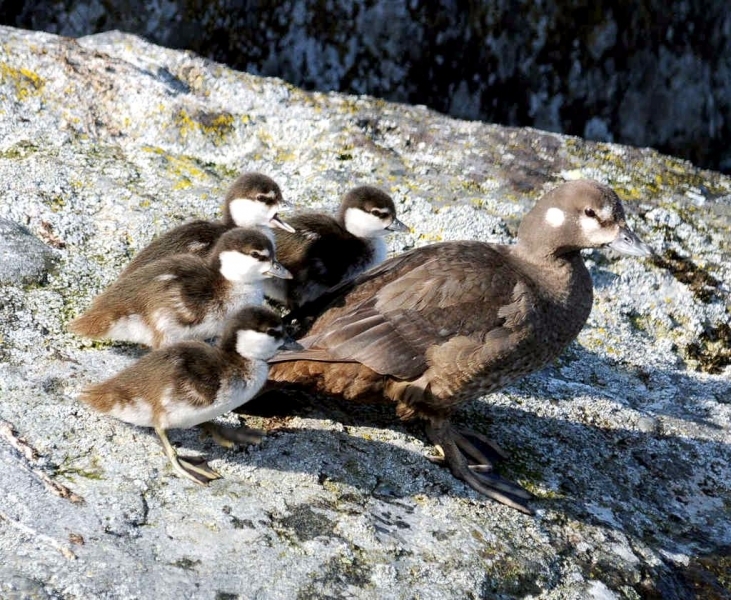 Adult males (drakes) are slate blue with chestnut sides and white markings including a white crescent at the base of the bill. 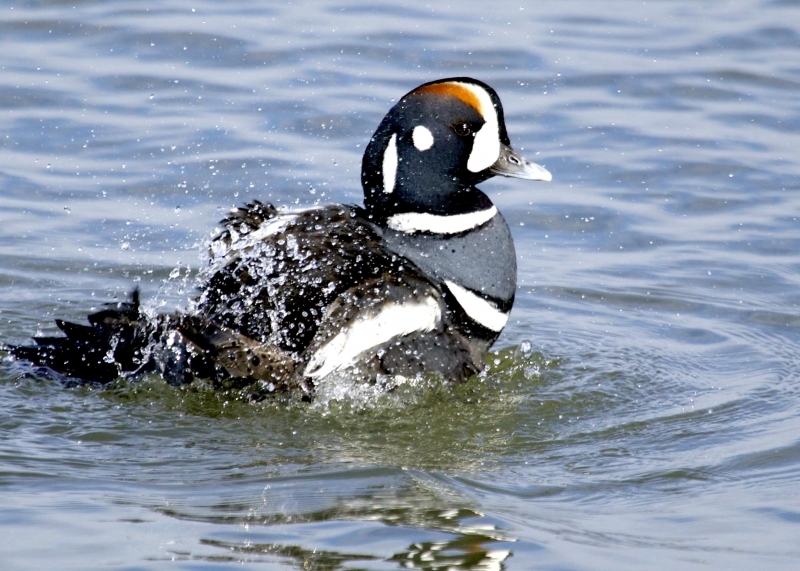 Adult females (hens) are less colorful, with brownish-gray plumage and a white patch on the head around the eye. 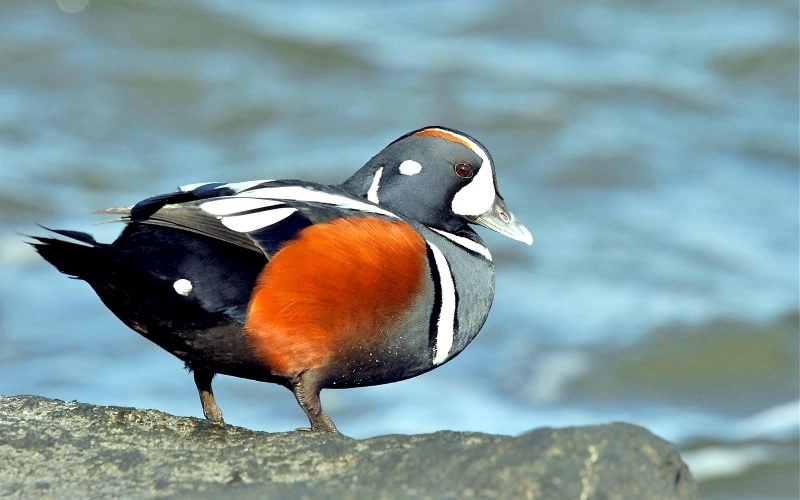 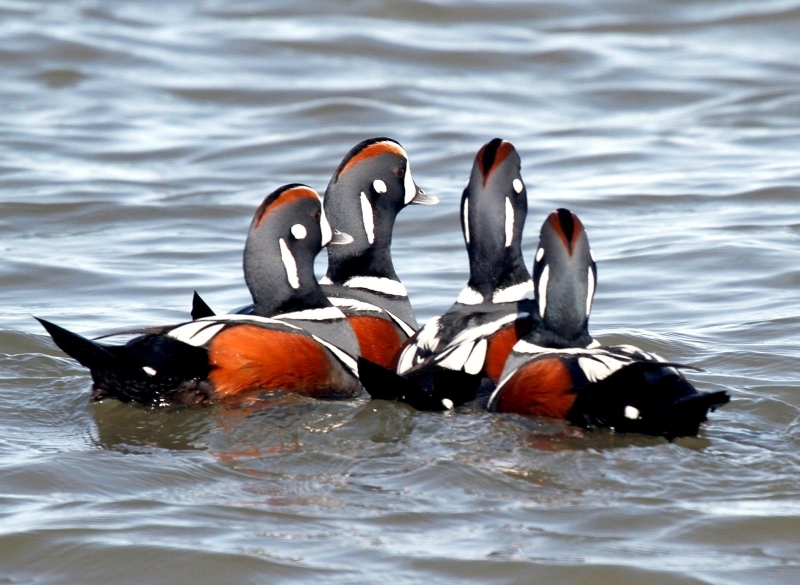 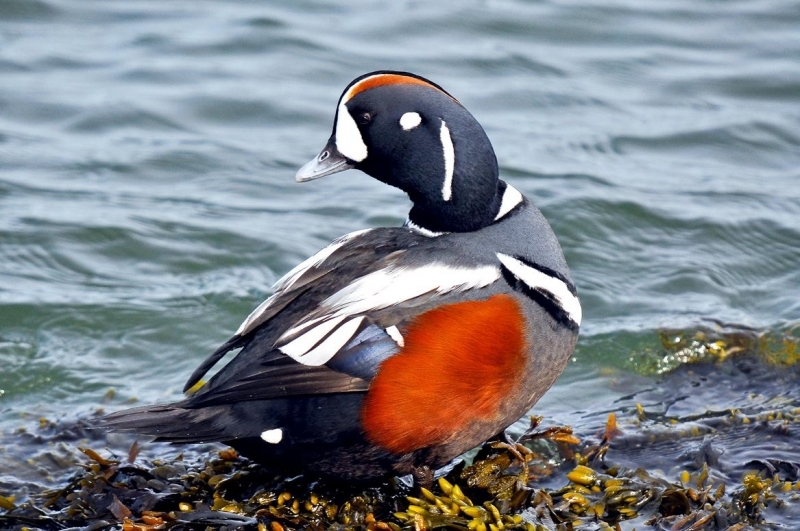 The Harlequin Duck takes its name from Harlequin, a colorfully dressed character in Commedia dell’arte. 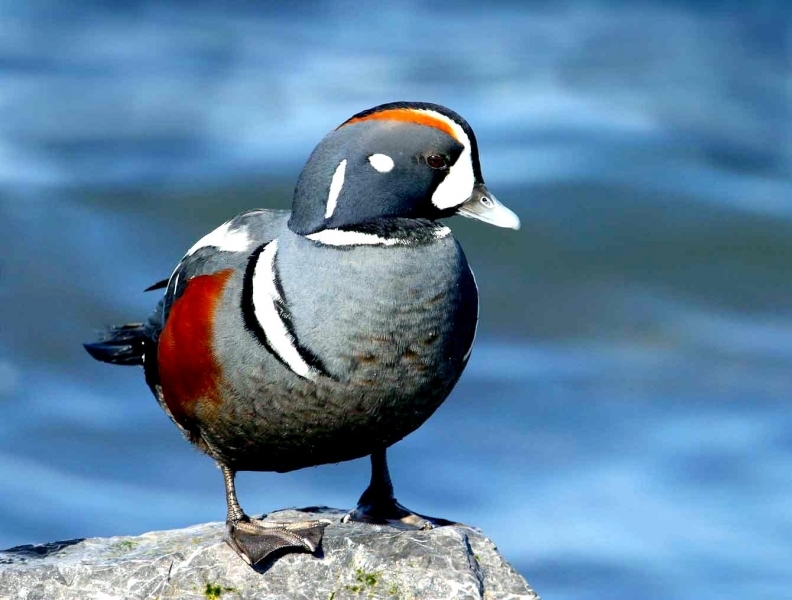 The species name comes from the Latin word “histrio” meaning “actor”. 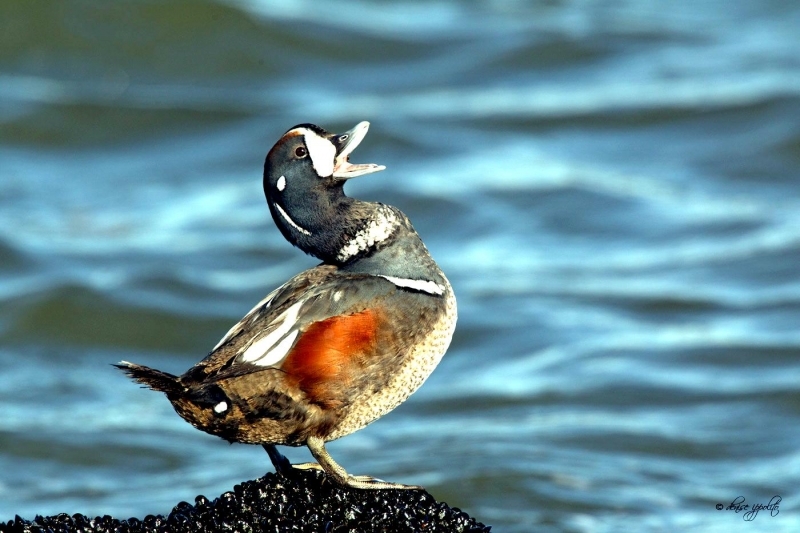 Its scientific name comes from the Latin word for actor. 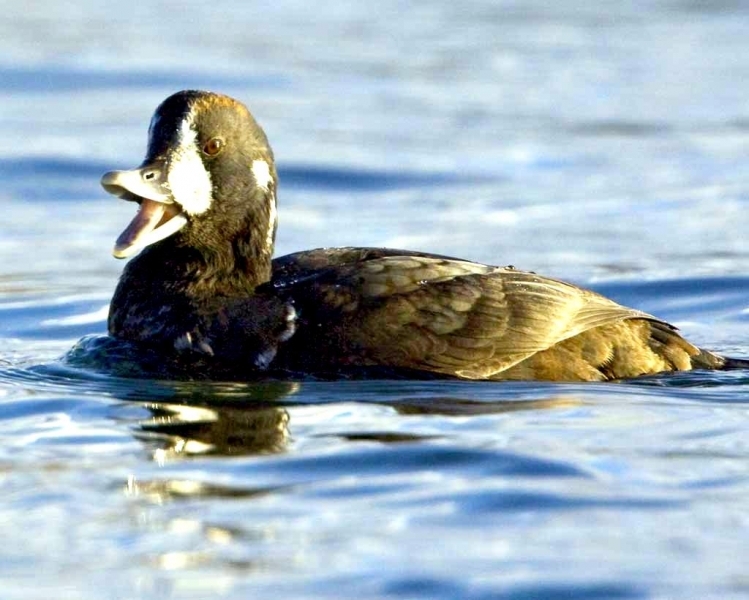 Known by early naturalists as the Circus Duck & Painted Duck, the Harlequin drake has a slate blue body, chestnut sides & cap, white crescents and streaks on his face, shoulders and back. 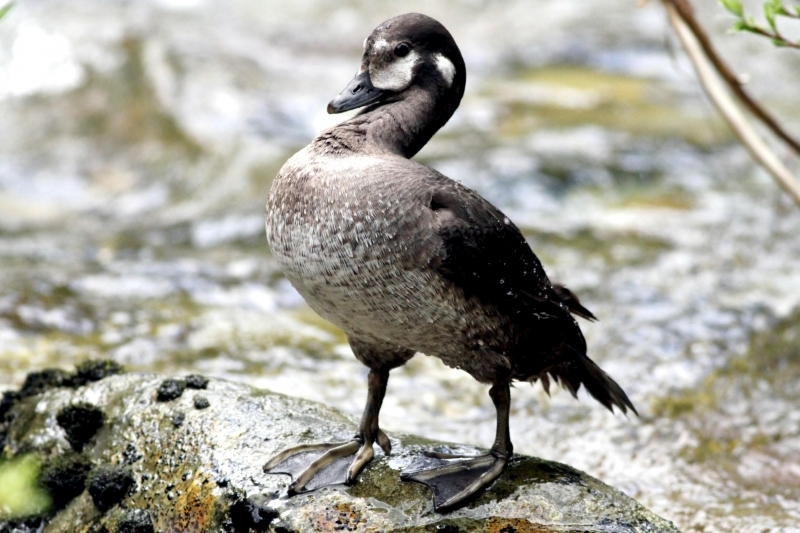 The female wears muted brown plumage and has 3 white patches on her face. 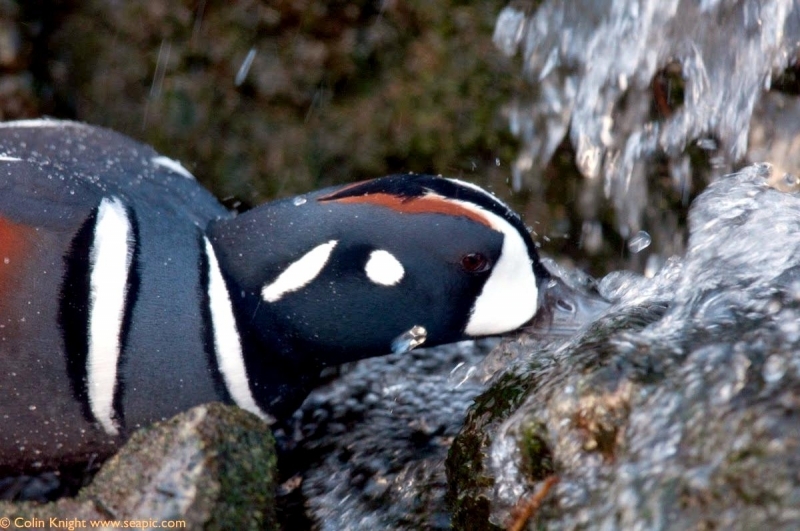 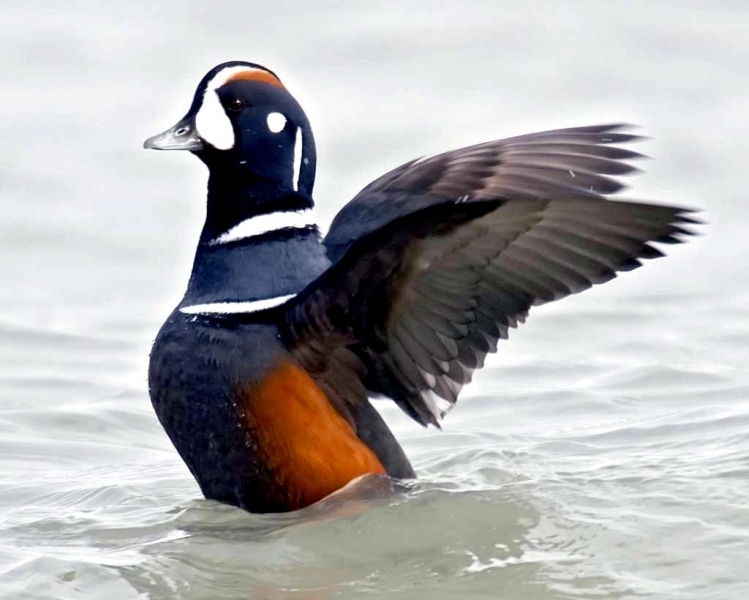 The Harlequin Duck has a large range, estimated globally at 100,000 to 1,000,000 square kilometers. 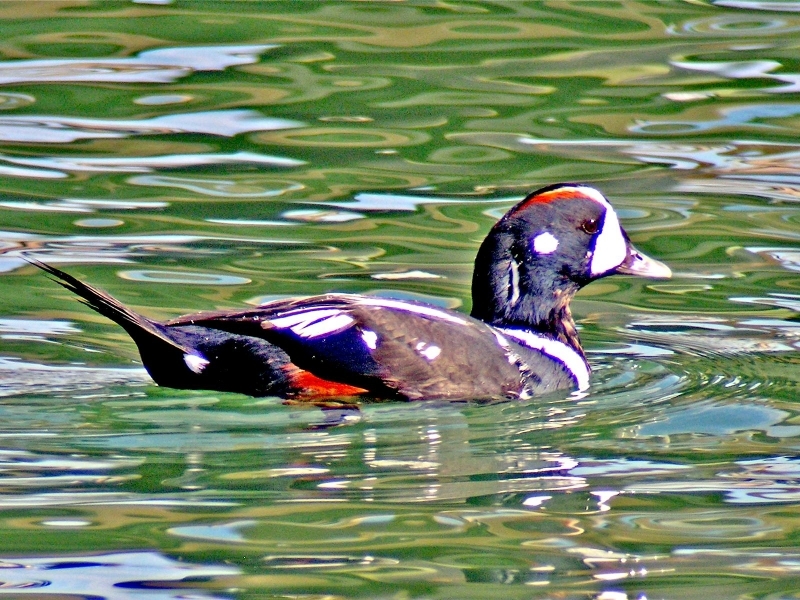 Native to Europe, this bird prefers wetland & marine ecosystems. 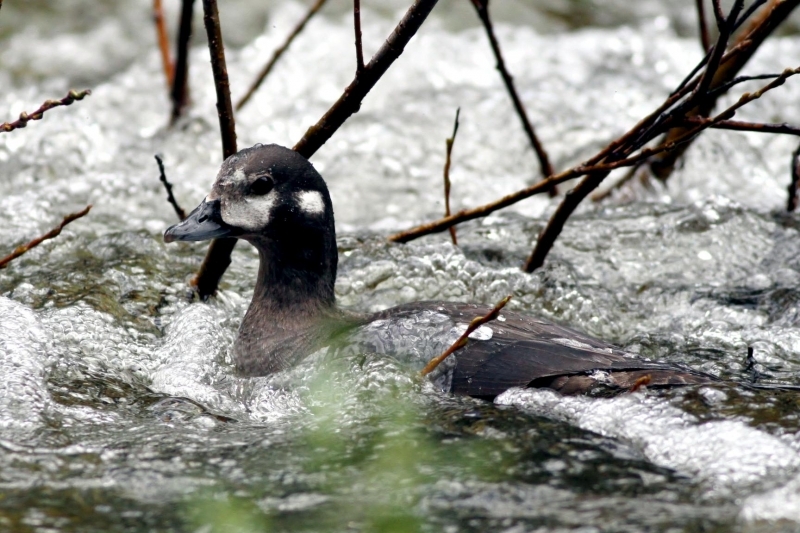 The global population of this bird is estimated at 190,000 to 390,000 individuals and does not show signs of decline that would necessitate inclusion on the IUCN Red List. 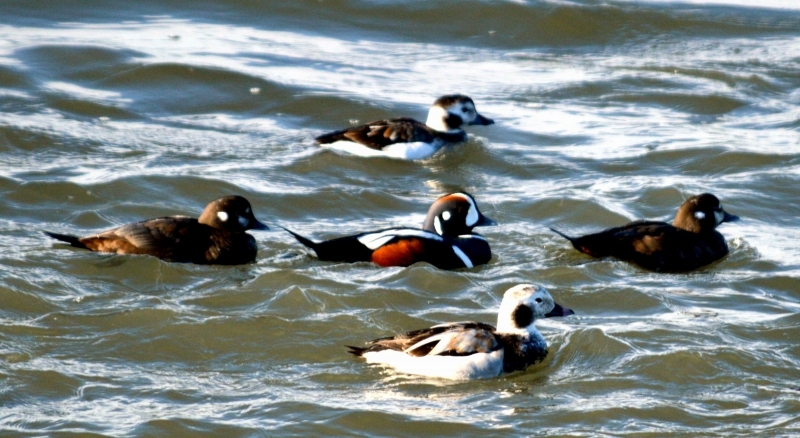 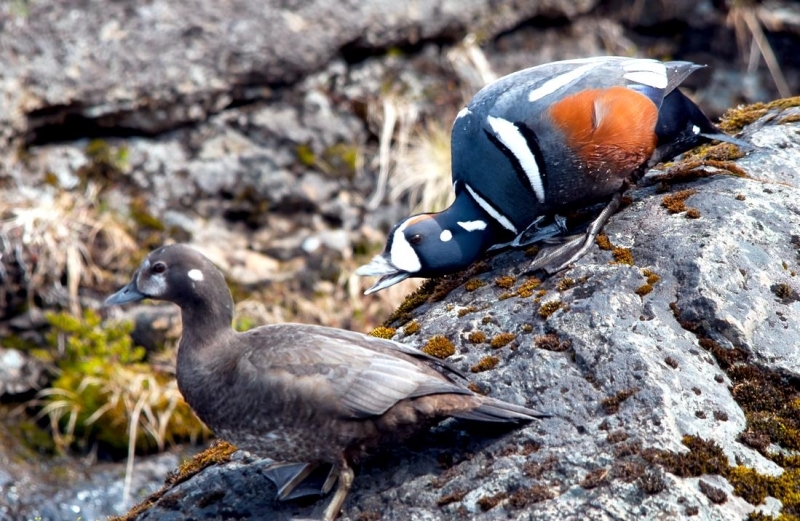 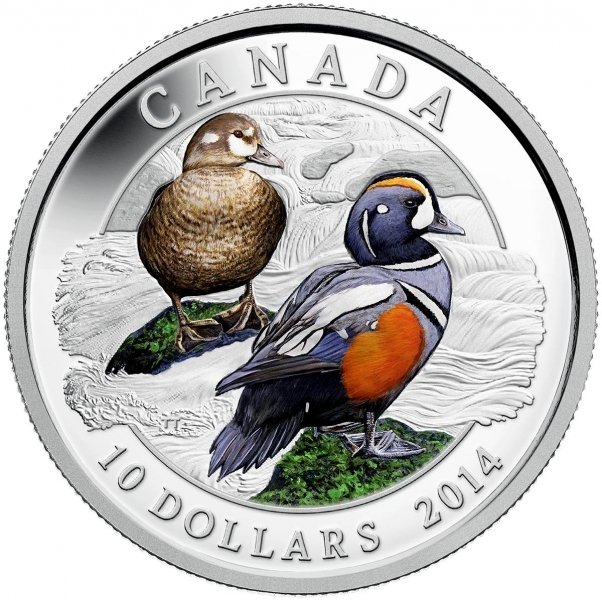 For this reason, the current evaluation status of the Harlequin Duck is Least Concern. 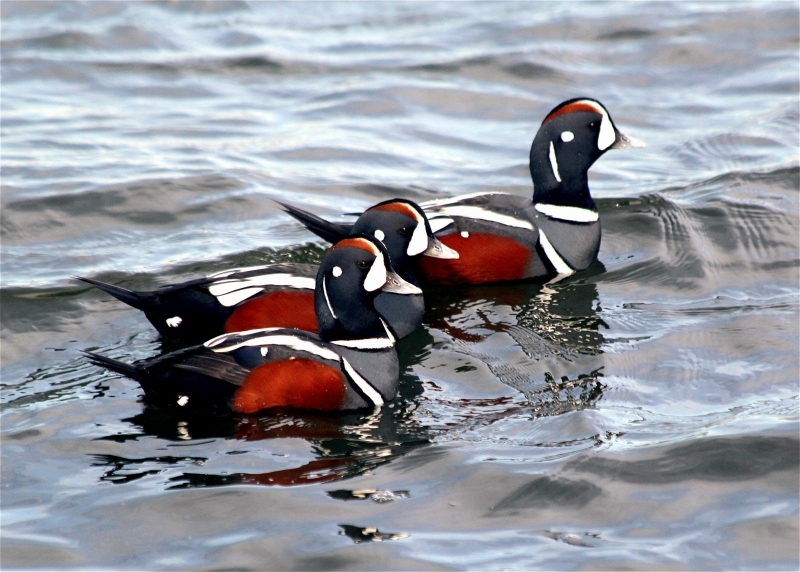 Harlequins spend most of the year on the ocean and only travel inland to breed. 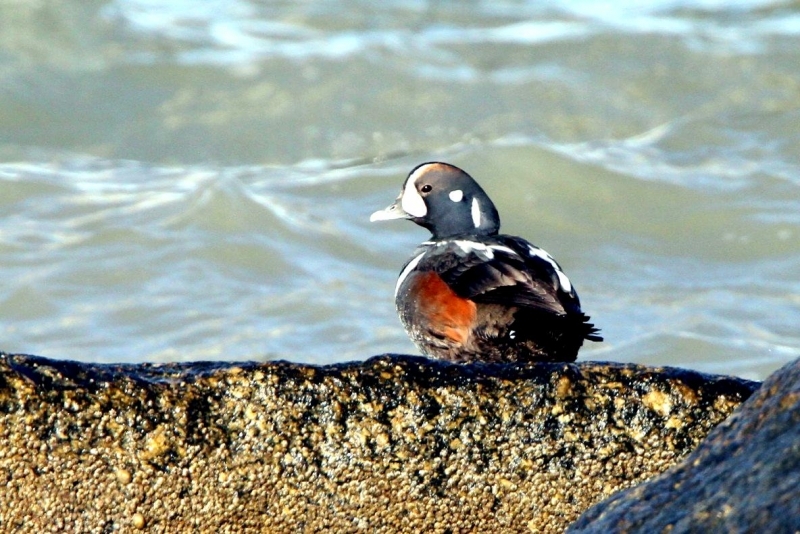 During winter they live very close to shore diving in rocky inter-tidal and shallow sub-tidal waters to feed on invertebrates. 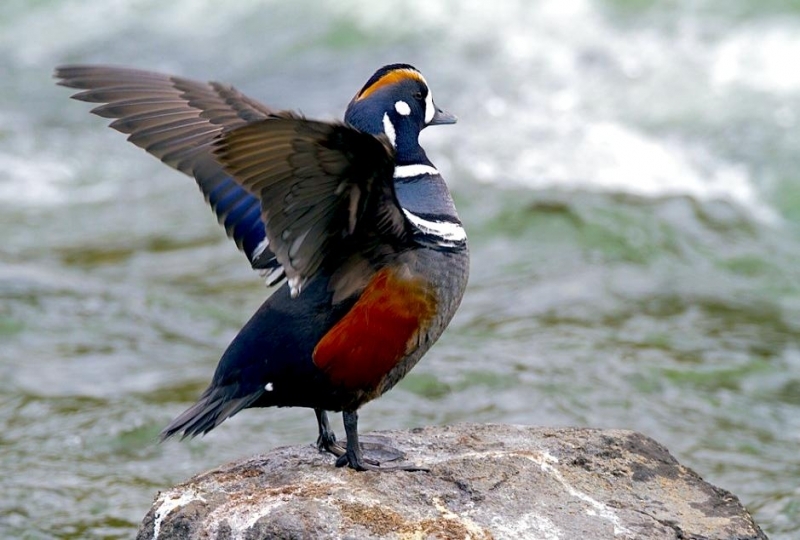 A bird of fast-moving water, the Harlequin Duck breeds on fast-flowing streams and winters along rocky coastlines in the crashing surf. 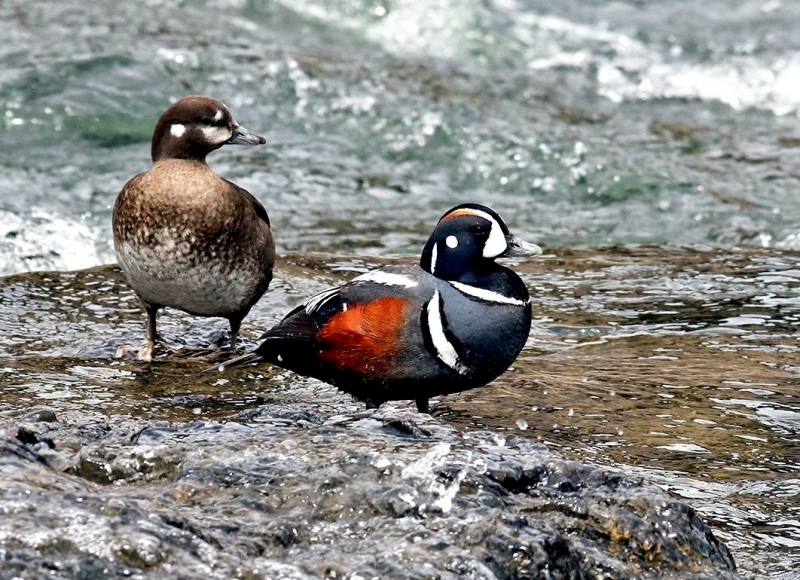 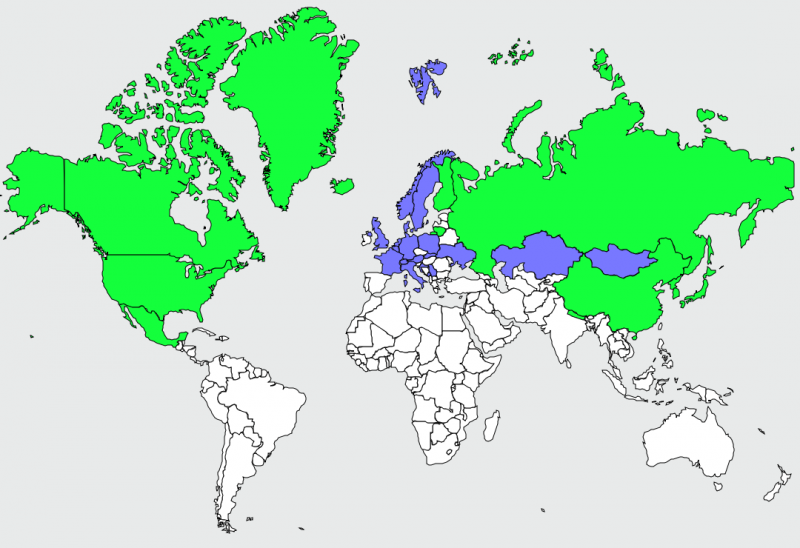 Their breeding habitat is cold fast moving streams in north-western and north-eastern North America, Greenland, Iceland and western Russia. 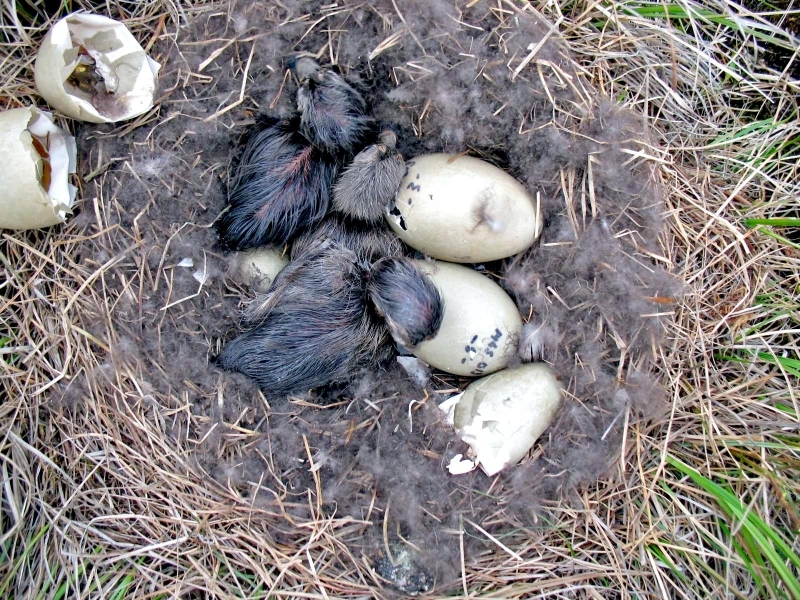 The eastern North American population is declining and is considered endangered. 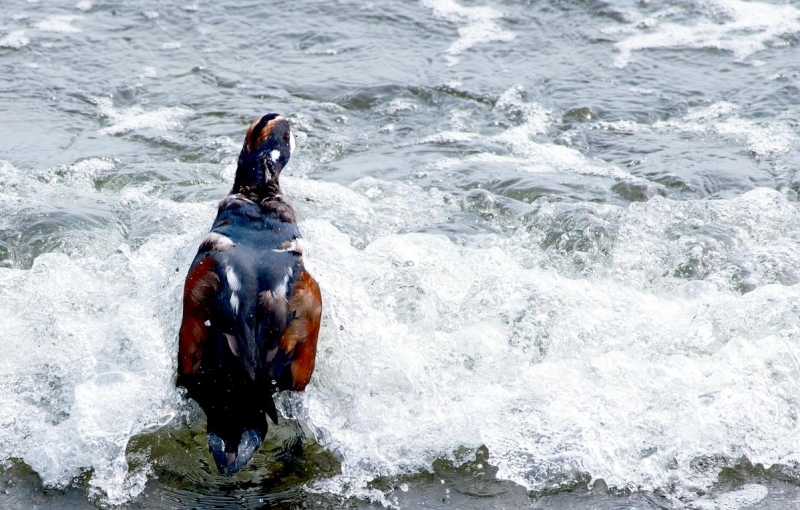 Possible causes include loss of habitat due to hydroelectric projects and loss of life due to oil spills near coastal areas. 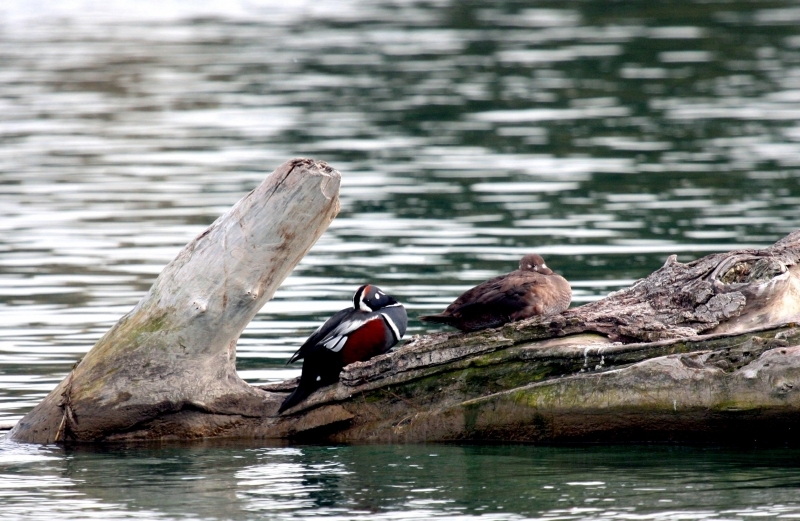 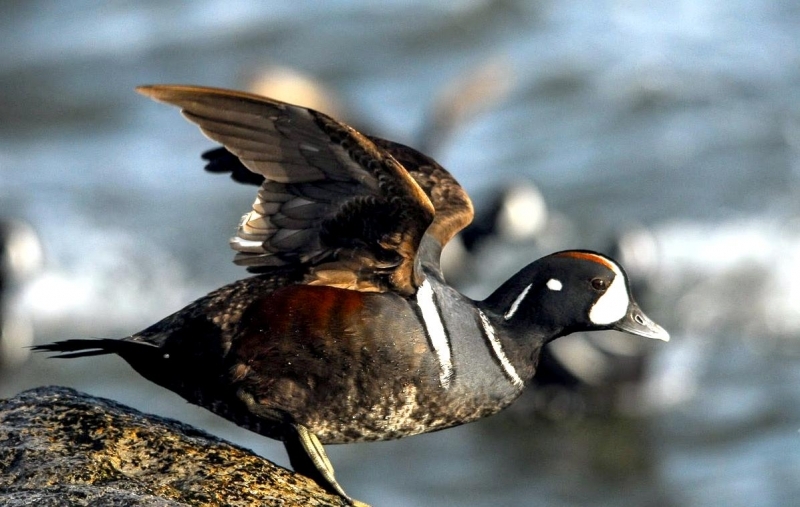 The distinctive Harlequin Duck is a small sea duck with a small bill, short neck and long tail. 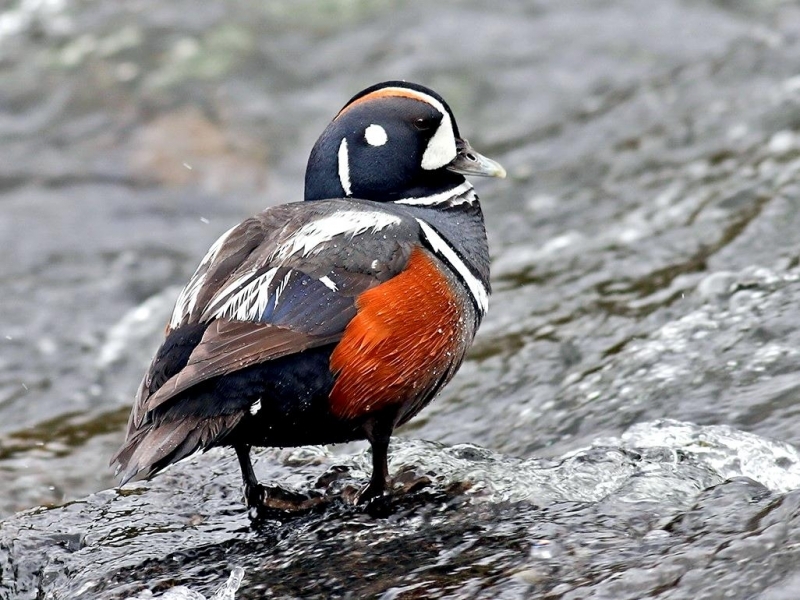 Males in breeding plumage are unmistakable with their dark blue color, rufous sides and crown, and striking white patterning on the face, neck, sides & back. 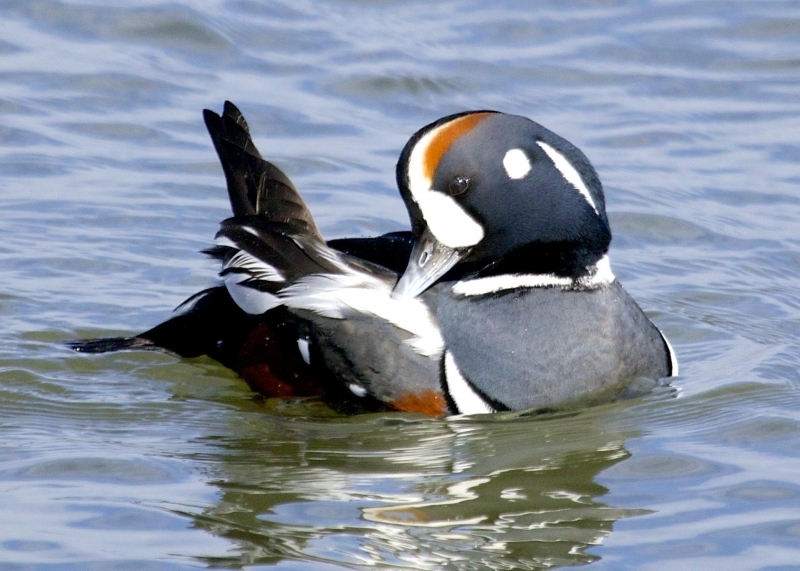 In non-breeding plumage the males are brown with white on the face and a round white spot at each ear. 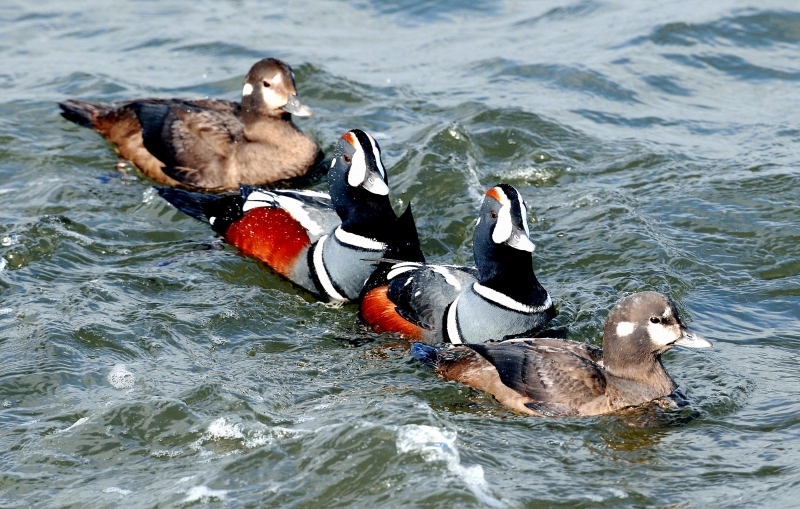 The male duck has dark, blue plumage, highlighted in black-outlined white striping and spots of white. 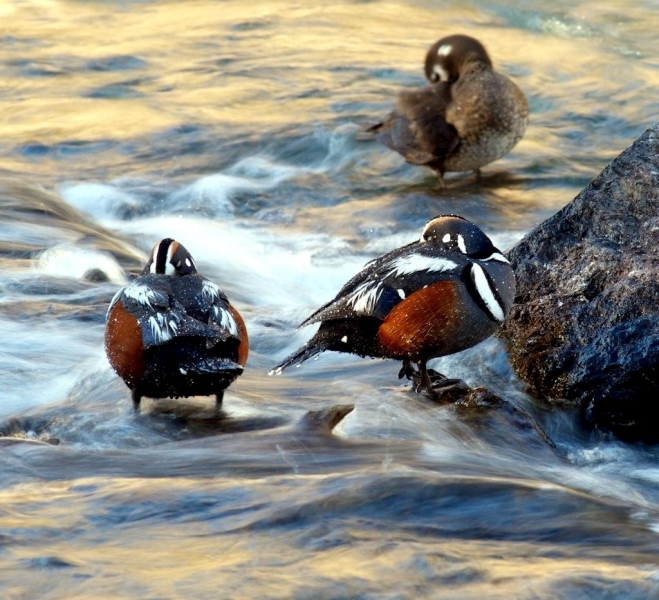 Its wing-tips are brownish black and its flanks are chestnut-red. 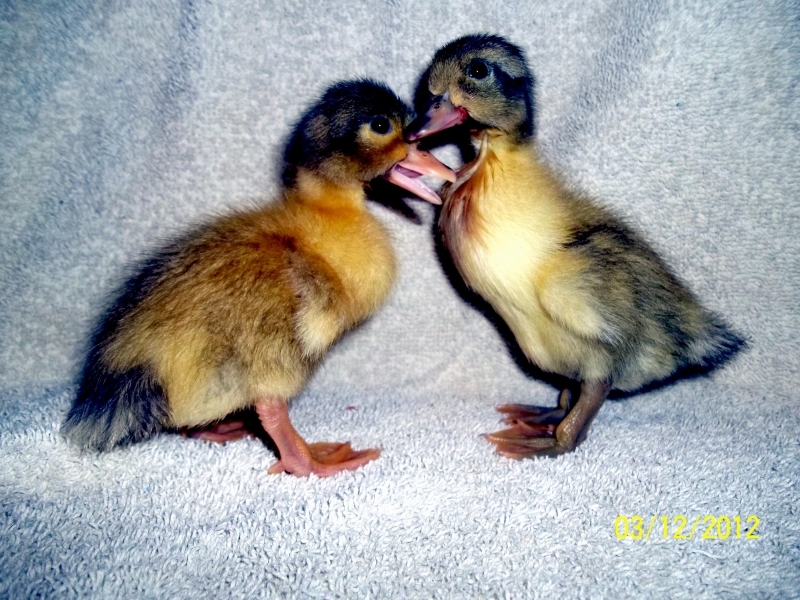 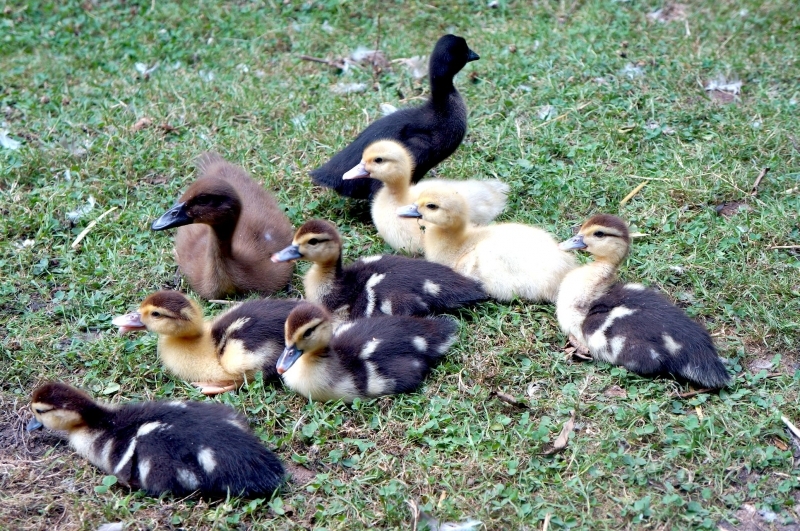 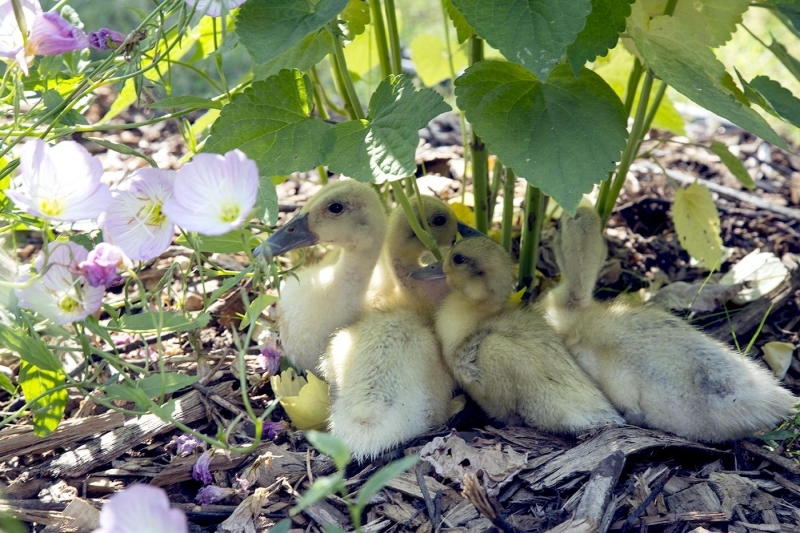 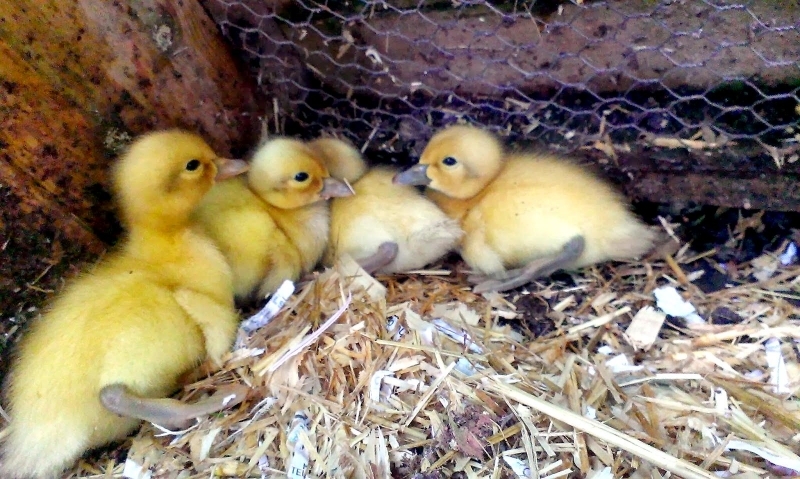 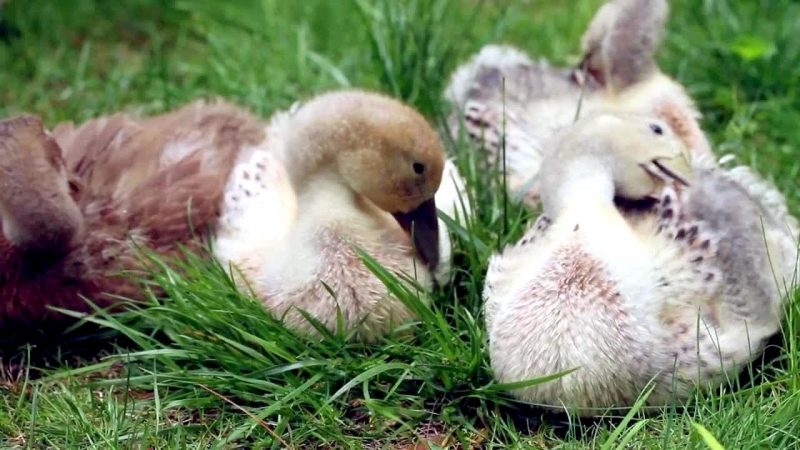 The female duck is not as colorful as the male duck. 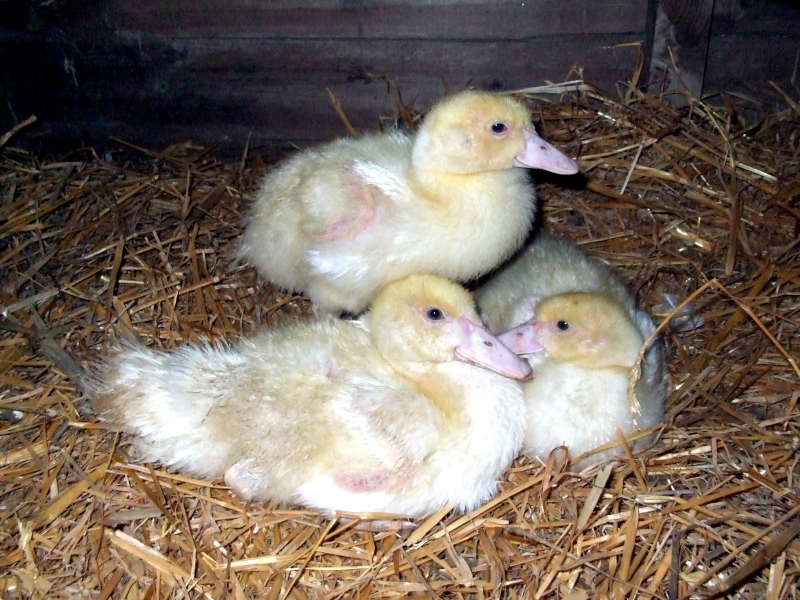 It is uniformly brown and it’s marked by three pale patches on its face. 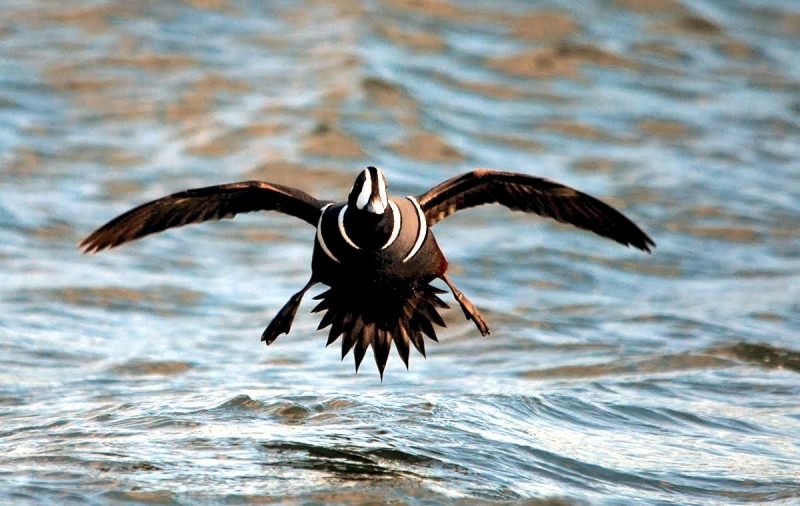 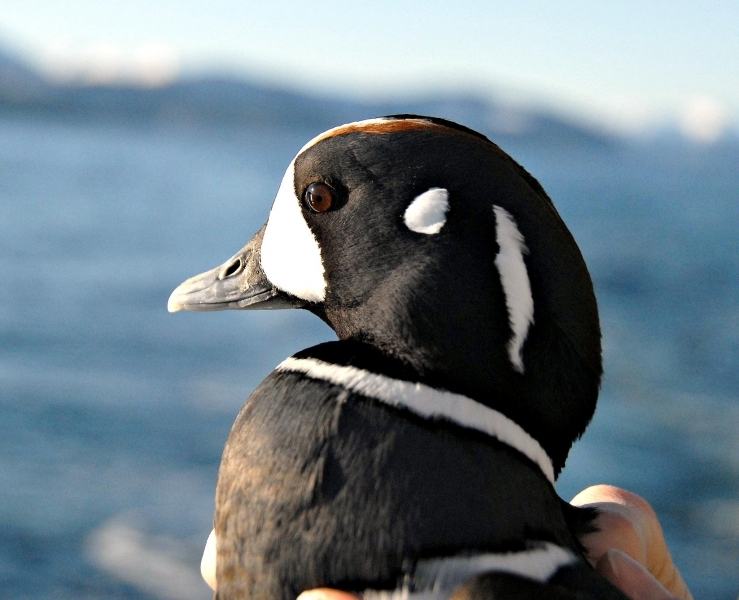 The Harlequin Duck drake is blue-gray with white streaks and patches rimmed with black. 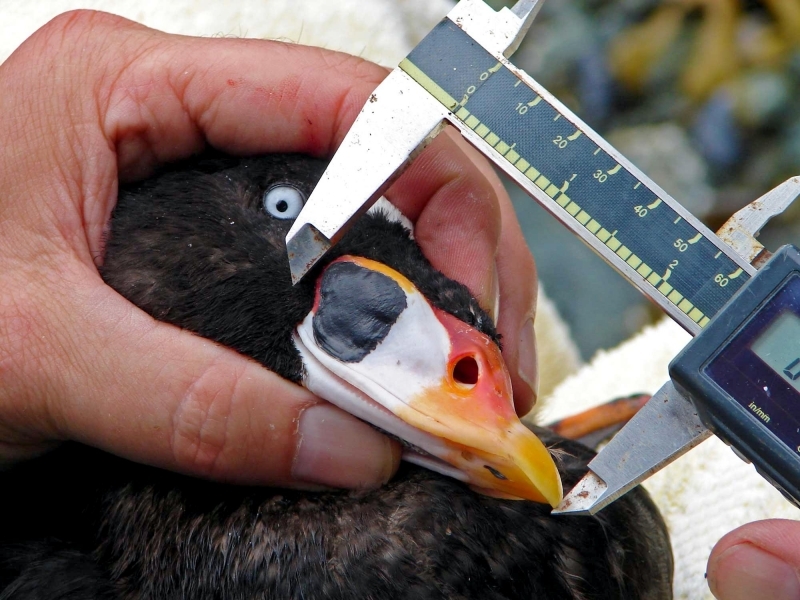 It has a white crescent on its face, a white spot behind the eyes and a white oval behind that. 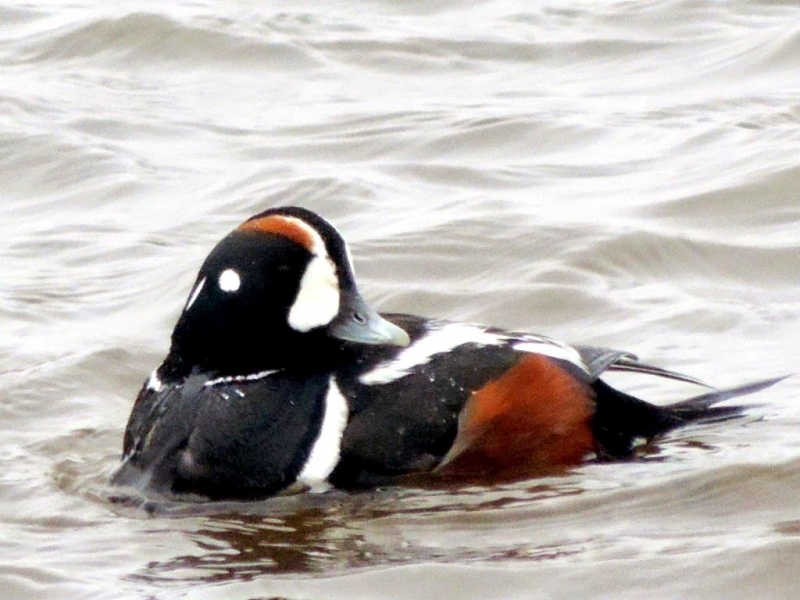 It has a reddish stripe on the crown and the same color on its flanks. 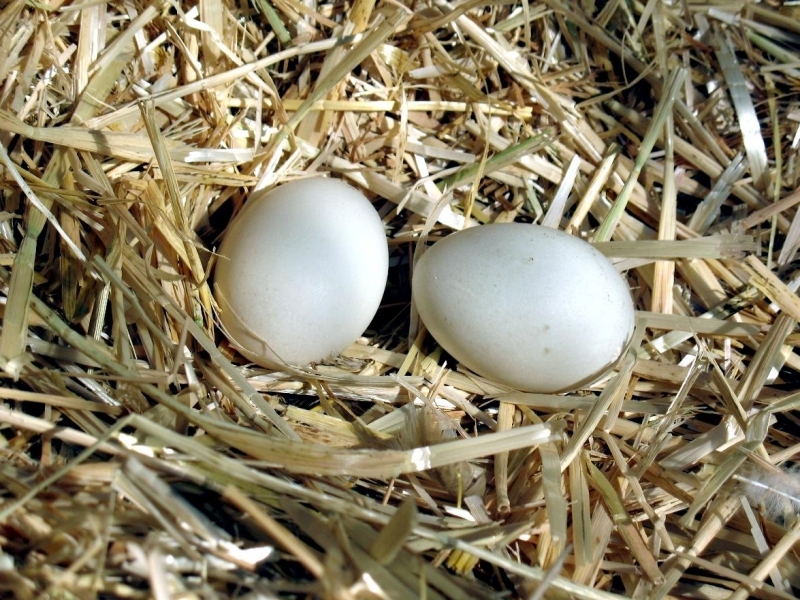 The hen has a brown head and body, a white spot behind the eye and a whitish patch at the base of the bill. 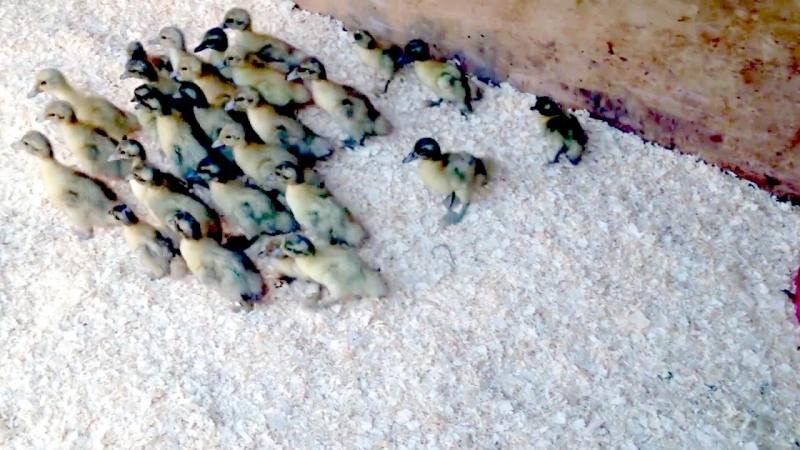 Their call is a distinctive mouse-like squeak. 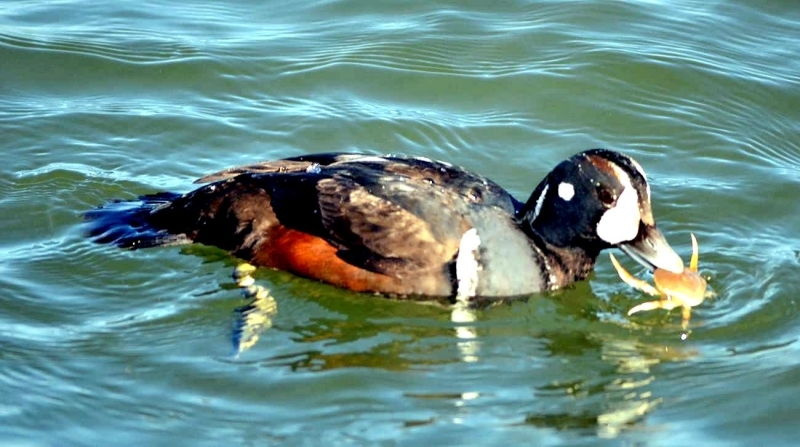 The female makes coarse “ek-ek-ek” sound. 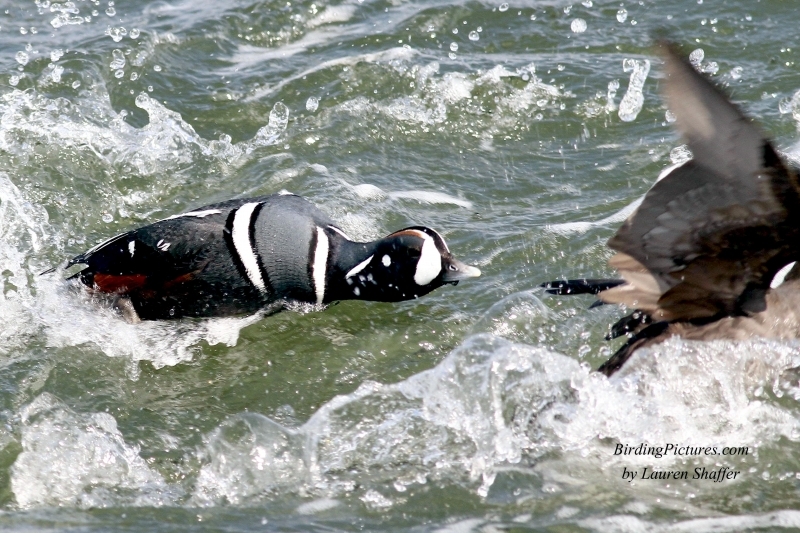 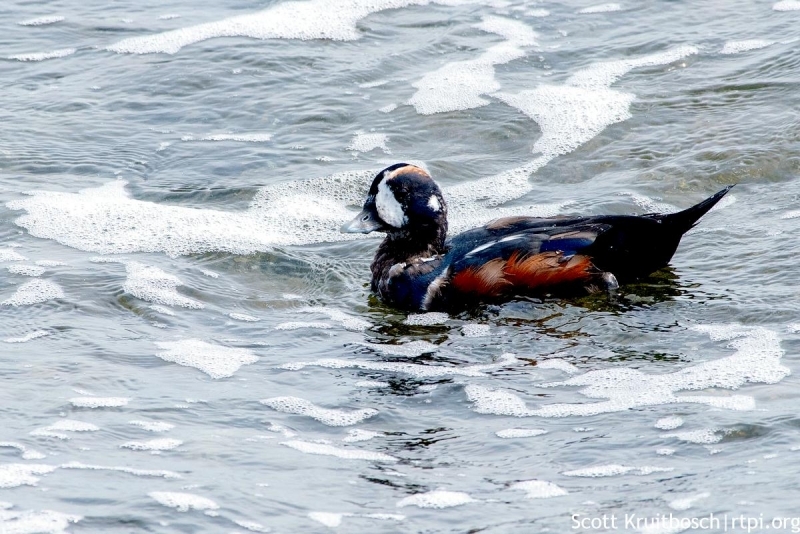 Harlequin Ducks dive to feed on crustaceans and mollusks, insects, small fish and roe found in rivers & marine habitats. 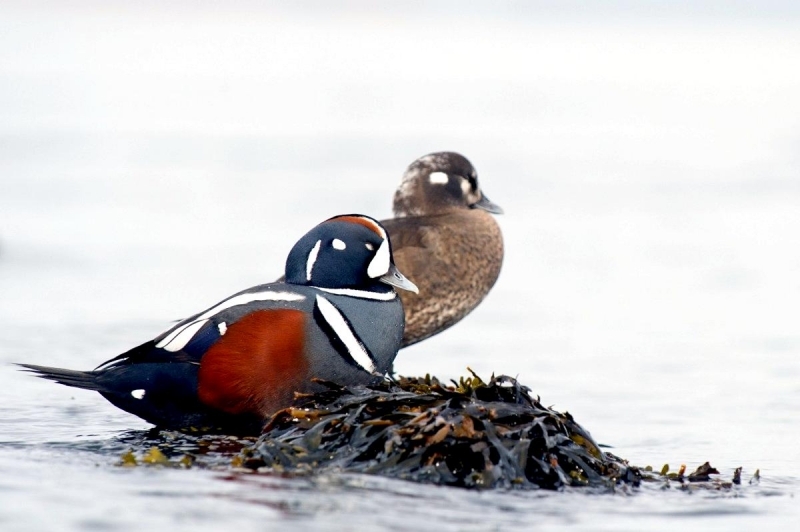 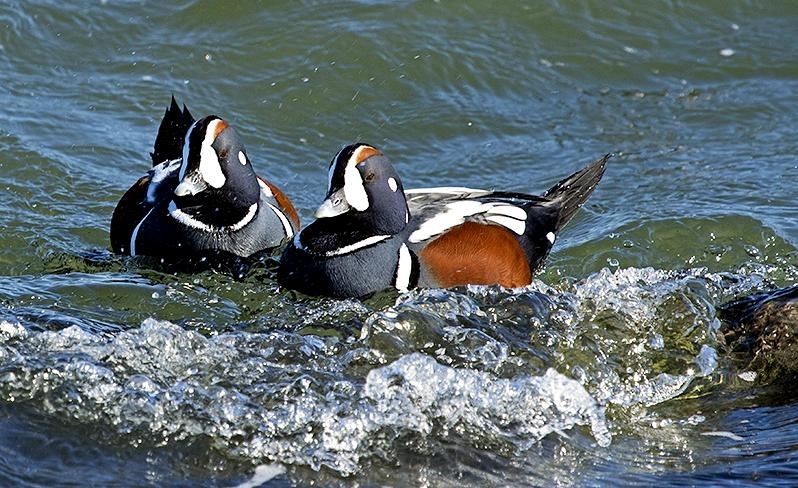 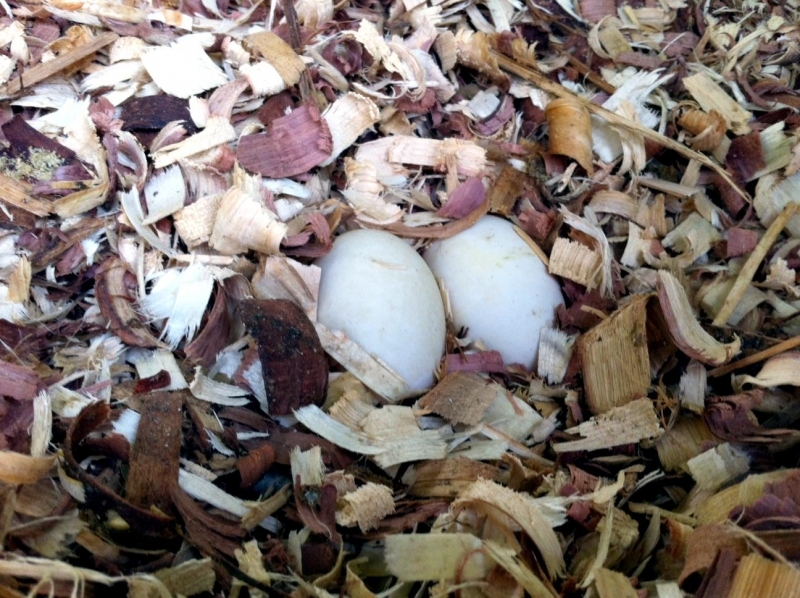 Harlequin Ducks begin to mate in their second year of life. 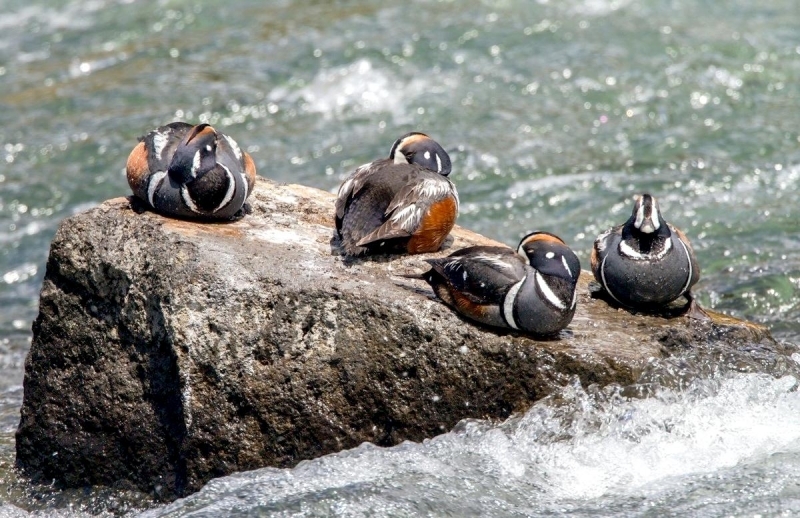 Females nest on the ground, on small cliffs, in tree cavities or on stumps along rocky shores close to the rapids of mountain streams. 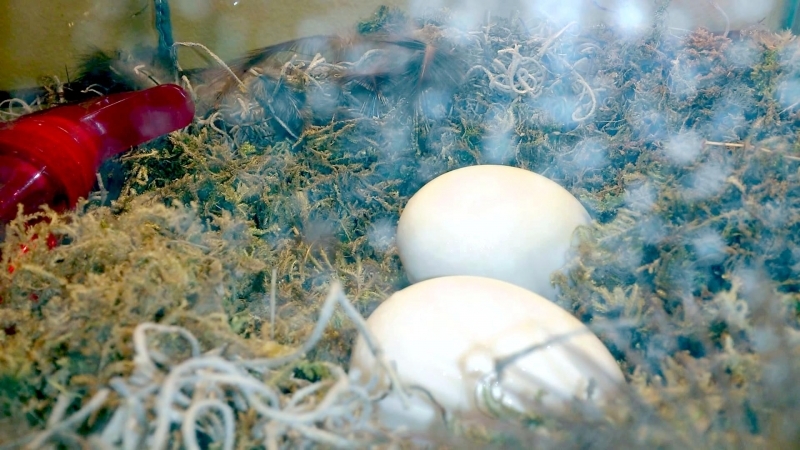 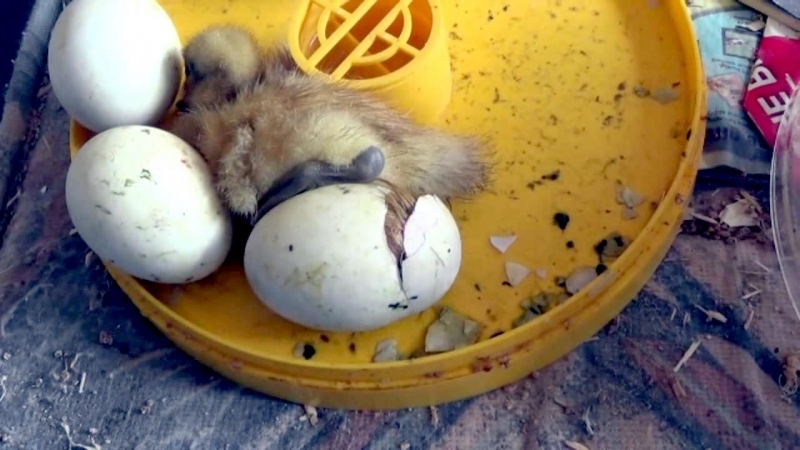 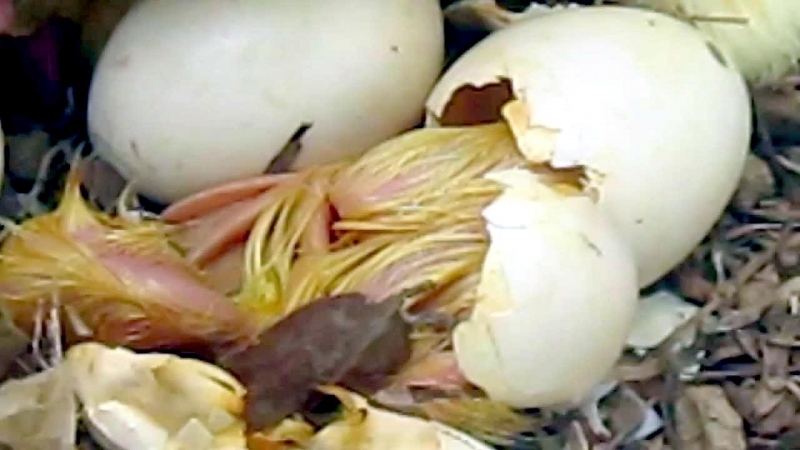 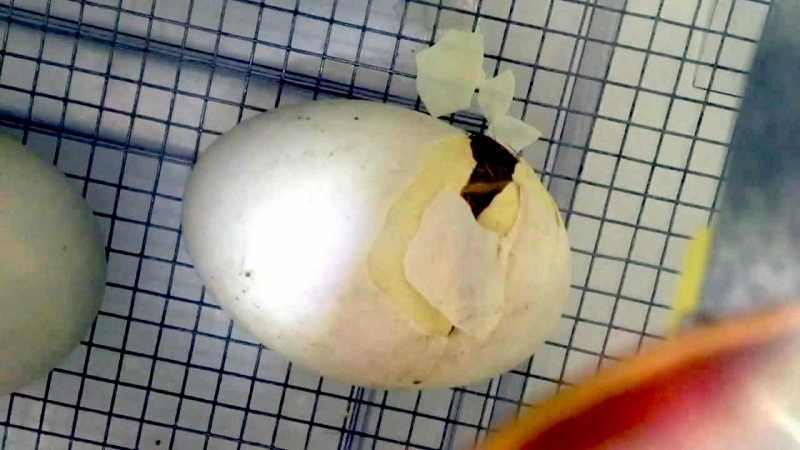 They lay an average of 5-6 eggs.